When’s the last time you had a hand-painted portrait of yourself? Never? Me either! 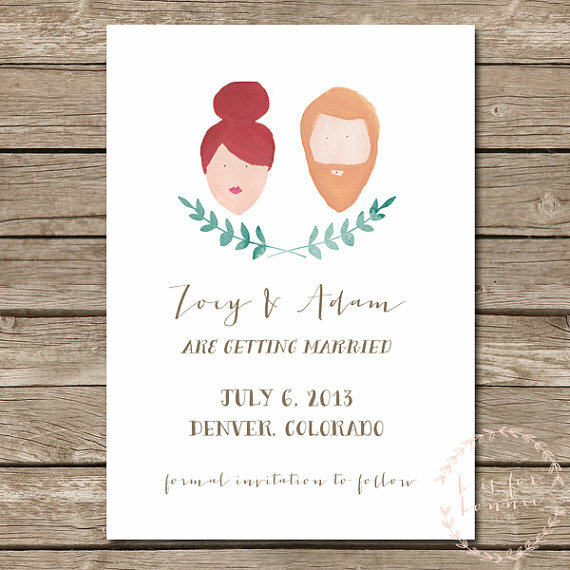 Now you can, thanks to B is for Bonnie and these portrait wedding invitations. 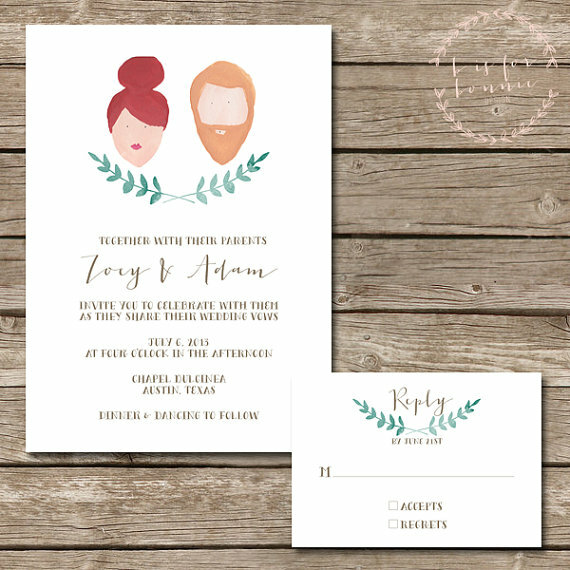 We love handmade wedding invitations: each invitation offers a custom, personalized experience. Each invitation is printed with the prettiest inks onto the finest papers. It’s a true work of art! When an artisan will sketch, hand-paint, and create an invitation for your perfect day, that’s a pretty incredible thing, don’t you think? A couple (and their story) is wholly unique; why have the same invitations as everyone else? You’ll wow your guests with these portrait invitations and you’ll have a beautiful piece of art for your home. 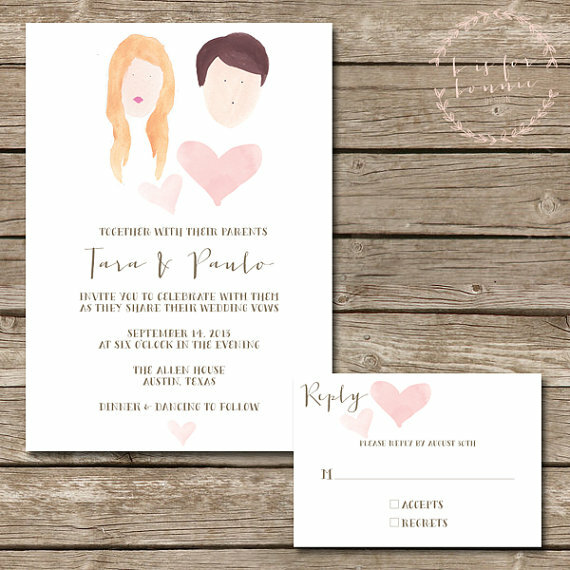 Each invitation measures 5″ x 7″ and also includes a corresponding response card and save the date. Ready to get YOUR custom portrait? B is for Bonnie is a Featured Artisan in the Handmade Wedding Shop at Emmaline Bride. Include quirky details, like his beard, your vintage frames, a baseball cap he perpetually wears, or a sock bun in your hair. In my portrait, A would be rocking his beard and I’d have a side bang and maybe even a side braid, which is what I’ve been wearing these days. Enough about me. We want to hear from you! P.S. Did you enter the giveaway yet? P.S.S. In case you missed it, check out how to plan an engagement party. Caity, that’s a great idea! I wish I had asked my friend to paint us a portrait for our wedding, too. It’s awesome to have an artistic friend! I’m sure guests loved the invites!